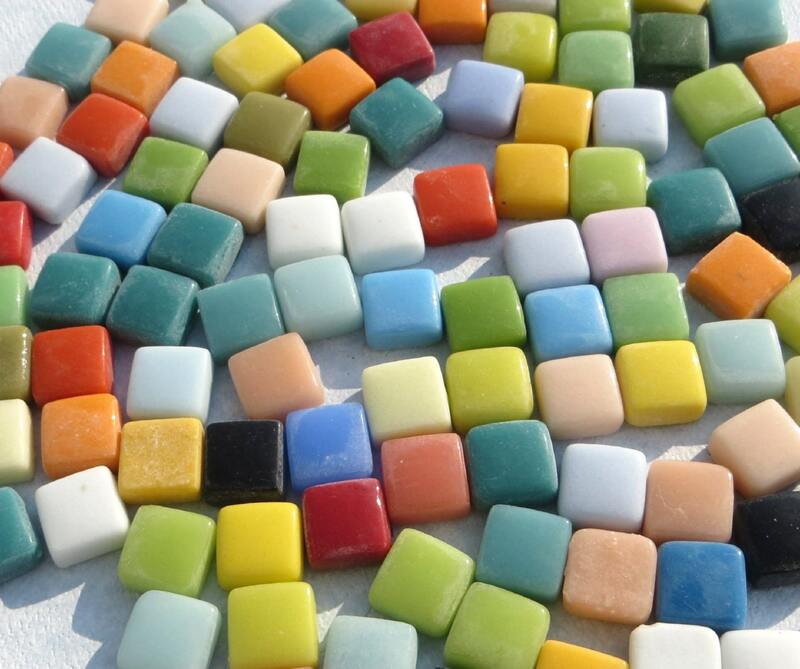 This is a set of 100 small glass tiles. 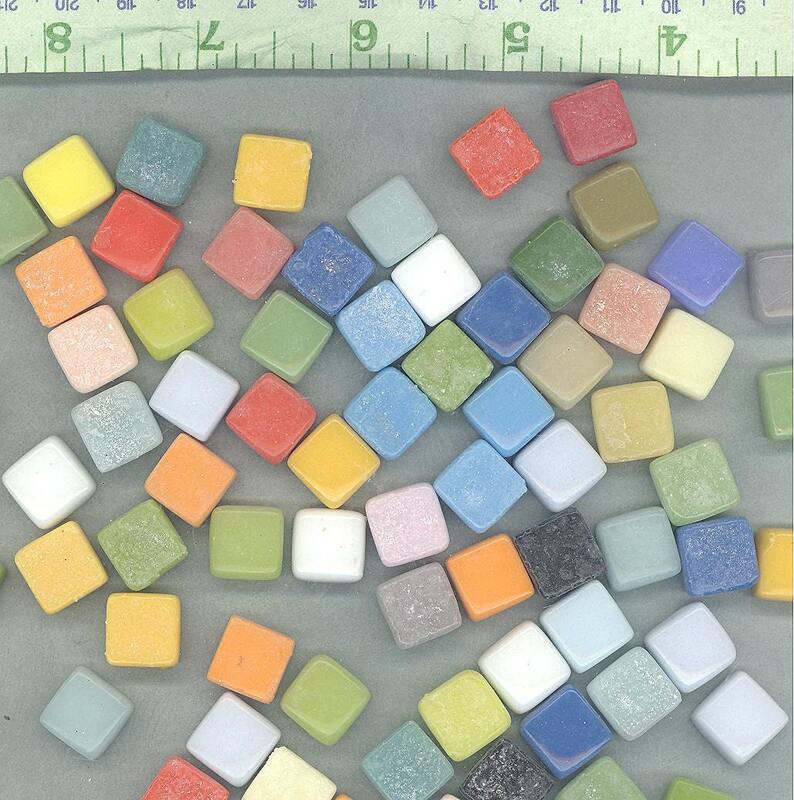 Made with opaque glass, they measure 1.2 cm x 1.2cm x .6 cm. 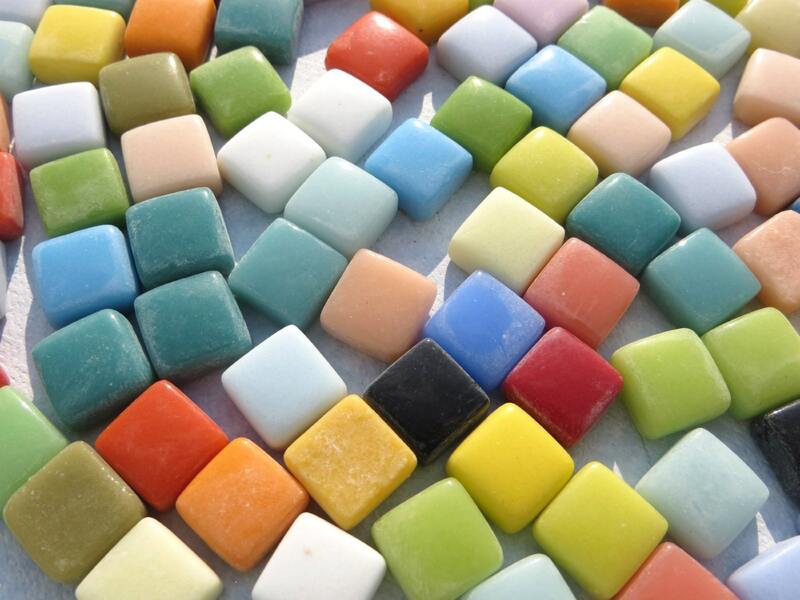 (1/2" x 1/2" x 1/4") They come in a wide assortment of rich colors. 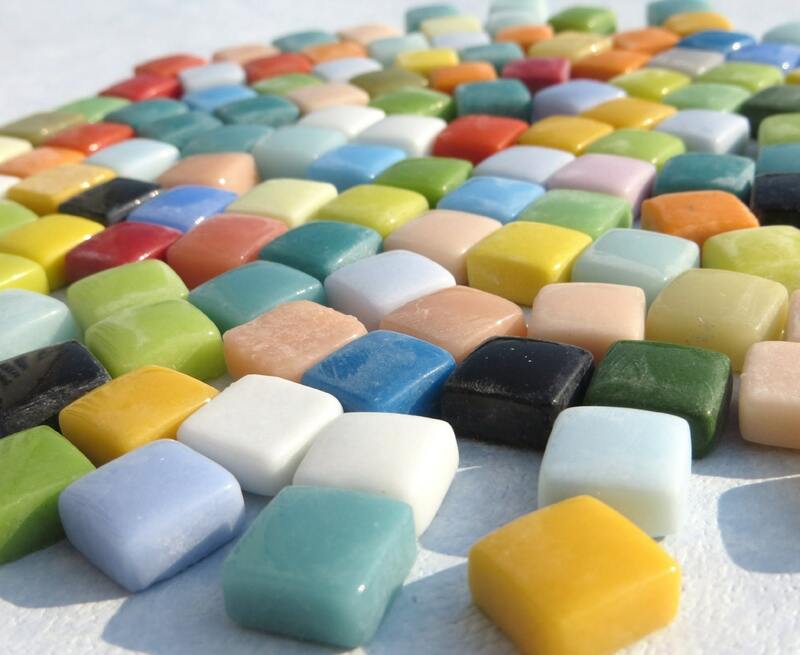 They have smooth edges, making them great to use with children. This is an assortment, and each assortment will vary. 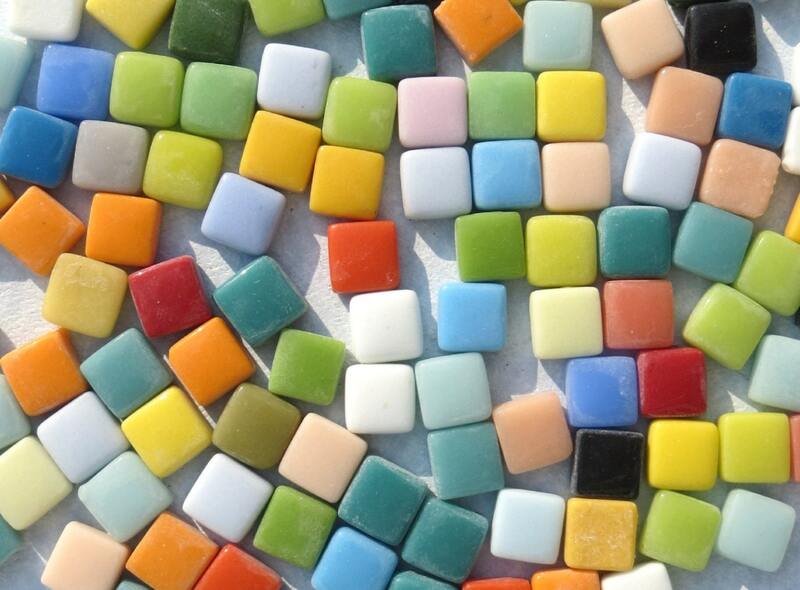 Wonderful tiles in great colors. Thank you! What beautiful tiles! Thanks for the quick shipment and great packing.